Mr. Wu Yixian, Chairman of Yida Aerospace Group, and Mr. Ilham Akbar Habibie, Vice Chairman of RAI, visits COMAC__Commercial Aircraft Corporation of China, Ltd.
Mr. 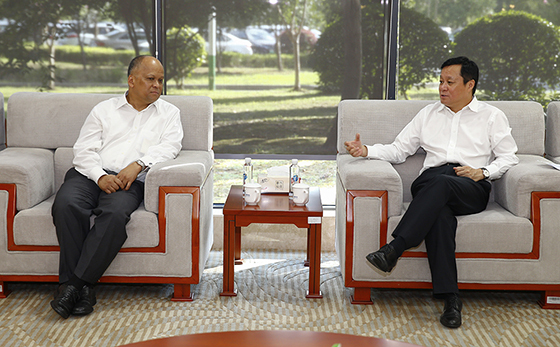 He Dongfeng, Chairman of Commercial Aircraft Corporation of China, Ltd. (COMAC), met with Mr. Wu Yixian, Chairman of Yida Aerospace Group, and Mr. Ilham Akbar Habibie, Vice Chairman of RAI, and their delegation on August 15th, 2018. Both sides developed friendly exchanges. Mr. Guo Bozhi, Vice President of COMAC, attended the meeting.